Journey to this breathtaking getaway hidden in northwestern Montana. 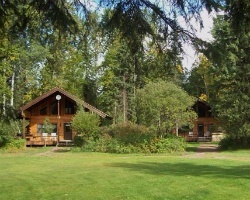 *Glacier Wilderness Resort*, located near Glacier National Park, offers finely appointed wooden cabin accommodations for your next Great Outdoors adventure. 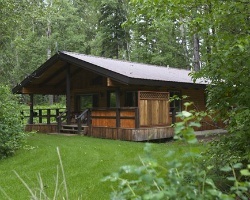 The individual log homes are surrounded by natural vegetation and have private outdoor hot tubs. In summer, enjoy hiking, rafting, fishing, and swimming. Cross-country or downhill skiing are available in the winter. On chilly evenings, snuggle in front of the fireplace and enjoy this rustic hideaway. To discover more, please visit www.glacierwildernessresort.com. Enjoy your own private 2 story cabin w/ hot tub! Great location to get away from it all & relax! Buyer may receive a title fee credit, inquire today! Great option for nature lovers! Cabin accommodations! Week 19 usage! Inquire for details!